You see one of those photos with a cool stacks of freezer meals on Pinterest. And you think – WOW – I need to do that. You click through to the site and see great photos, can see how amazing it would be to have your freezer look like those. I should totally do this. So you start looking through the site and you can’t find anything helpful except a list of recipes. No shopping list, no instructions, no helpful tips. There’s nothing that tells you want to add in what order. Nothing that tells you how to prepare ingredients and how to assembly the meals. You still really want to do this whole freezer meal thing, but you want a guide. You need a guide. MyFreezEasy is the ONLY resource that will help you make freezer meals in a flash – without spending all day in the kitchen. It’s the ONLY resource that will allow you to design and create your own freezer meal prep guide. 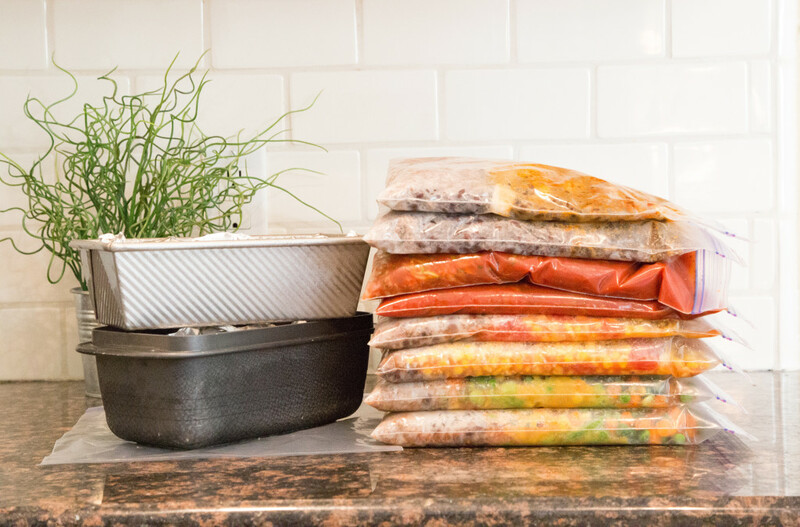 It’s the ONLY resource that is set up to help make loading your freezer fast and easy. So what’s in this guide??? 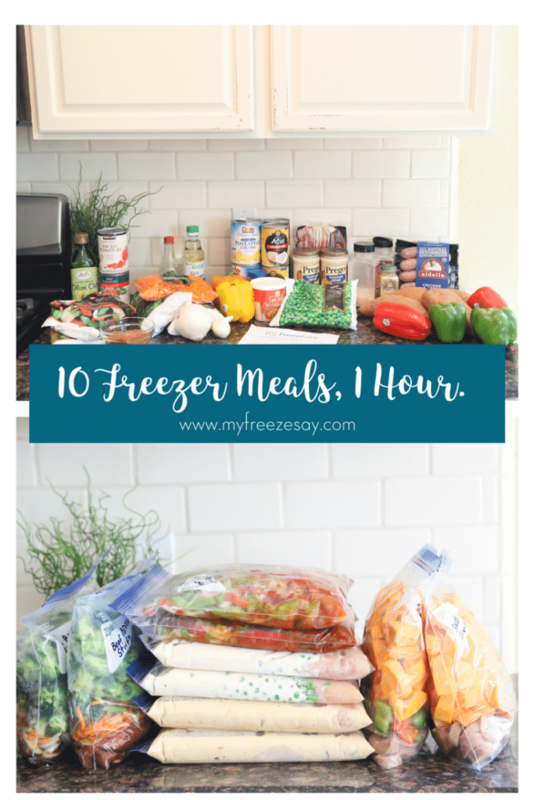 The tools and layout of the guide will help you make 10 meals for your freezer in an hour. Now, we’re talking! That would be more helpful, yes??? Now, you won’t waste an entire afternoon or even an entire day in the kitchen to get your freezer loaded! 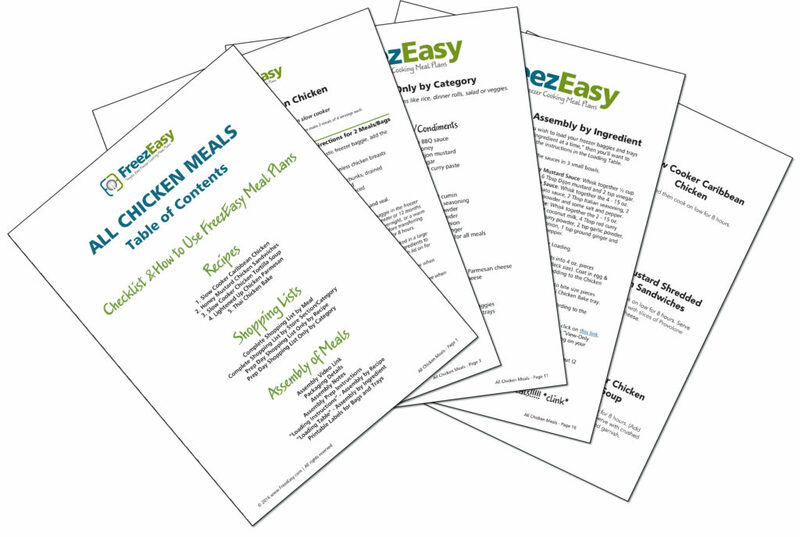 Want to see one of these MyFreezEasy Meal Prep Guides?? You can download a sample and give it a try when you take the Free MyFreezEasy workshop!